Solar farms could be able to compete for contracts in the Capacity Market as early as winter 2019/20 if new government proposals are approved. Yesterday the Department for Business, Energy and Industrial Strategy (BEIS) published its call for evidence (CfE) on the future of the capacity market which, most notably, discussed the potential for renewables projects to bid for contracts. 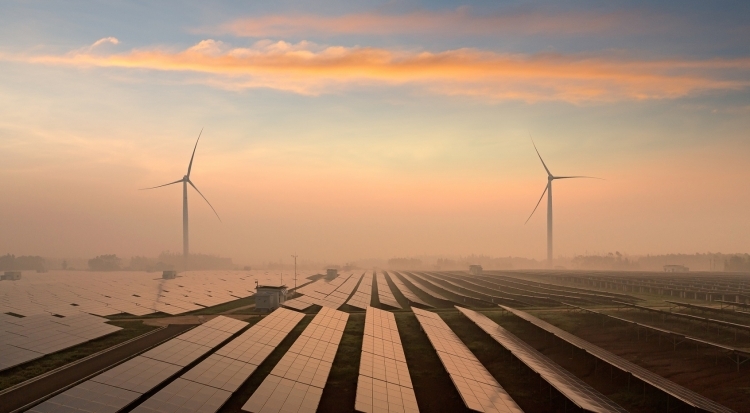 BEIS is now seeking stakeholder insight into how a renewables-friendly CM may work in practice having deemed there to be “unique challenges” in re-designing the mechanism and specific methodologies that would need to change if renewables projects were to be welcomed. De-rating methodologies would need to be reformed to take into account the non-dispatchable nature of renewables, while BEIS has also discussed the need for legislative change to allow for ‘hybrid’, co-located projects which would not necessarily have to share the same connection. Changes would also be required to the penalties system, BEIS considers, in order to incentivise renewables developers to consider hybrid projects via more robust penalties for non-dispatch. BEIS is now seeking stakeholder insight via six specific questions relating to renewables participation in the CM, including potential considerations and lessons to be learn from overseas equivalents that already include renewables technologies. The CfE closes on 1 October 2018, and it is BEIS’ intent to report on its findings next summer with a view to ensuring a “prompt” consultation to allow for changes to be introduced in time for the 2019/20 winter auction. As it stands renewable generators are largely excluded from competing in the mechanism as they are almost entirely supported by subsidies, a factor which would distort the competitive element of the market. But not only are the first round of subsidies due to expire in 2027, meaning that the fleet of early renewable generators would be eligible to enter early auctions from 2023, but the government has pointed to the emergence of subsidy-free projects that could legitimately compete for contracts. Frank Gordon, policy manager at the Renewable Energy Association, said the review was “much needed” given the quantities of fossil fuel generation the mechanism has effectively incentivised so far. “As we have consistently said, the problem with the Capacity Market is that it fails to tackle all elements of the Energy Trilemna – completely ignoring both value for money and decarbonisation – unlike the remaining renewable support schemes which tackle all elements. “We encourage the government to examine how renewables can be included in future auction rounds as soon as possible, as well as address the current barriers that make it more difficult for energy storage projects to compete,” he said.